Its that time of year again for visiting the ballpark and enjoying a Toledo Mudhens game with your Boilermaker brothers and sisters and thier families. We will be having our Mudhens outing on June 7th at Fifth Third field. Sign up with Abe at the Hall to reserve your spot in advance. Tickets are $20. Ticket price covers the buffet before the game and a seat for the game. Ticket money is due by May 31st. We currently have Boilermakers Local 85 High Visability sweatshirts available for sale at the hall. We have size med. – 3X. Stop by the hall and pick one up while supplys last. 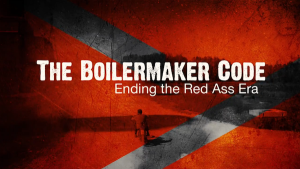 Here is a link to some of the great videos that Wide Awake Films and the International Brotherhood of Boilermakers have created to educate people as to what exactly the Boilermaker do. 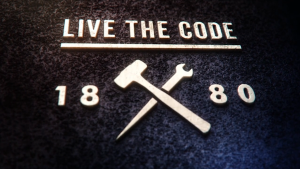 These videos are a great representation as to what Boilermakers deal with and overcome on a daily basis. Our work is slow this Spring. There are jobs on the road but alot of them require a TWIC card for access. Here is a link to apply online and also a link for TWIC signup locations. The cost for the application is $125.25. 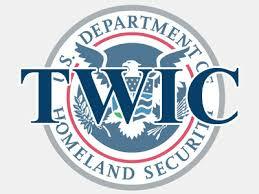 If you have any questions about how the TWIC application process works, go to the TWIC website for answers. Along with the TWIC card a lot of the work on the road also requires a MOST OSHA 5 Hr refresher within the last year or some other MOST OSHA class such as the 10 hour or 30 hour. These classes can be taken online. Sign up with Paul at the training center to get access to the online MOST classes. There is a online company that specializes in selling American made products and they are a Ohio based company. The name of the company is All American Clothing Company. They pride themselves on being “Grown and sewn in the USA” . They carry everything from regular everyday clothes, hunting clothes, workout clothes, and accessories. They even offer free shipping on all orders $99 and up. Check out thier selection and let all your friends know that there is a American made alternative to all the foreign made products that we normally come across.